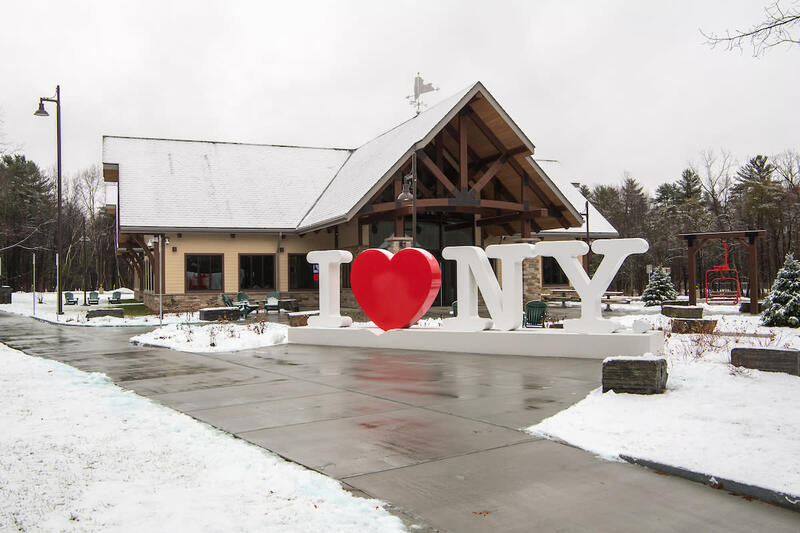 Want to get cozy en route to your visit to the Adirondacks? 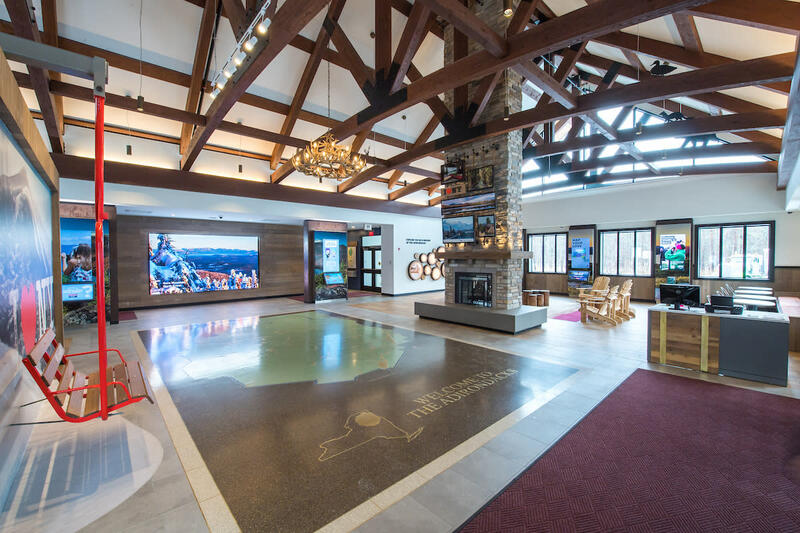 Stop in at this handsome LEED-certified welcome center to learn about this adventure-fueled region. 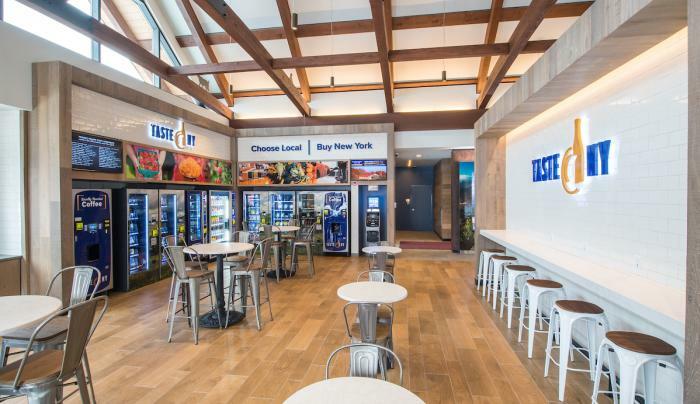 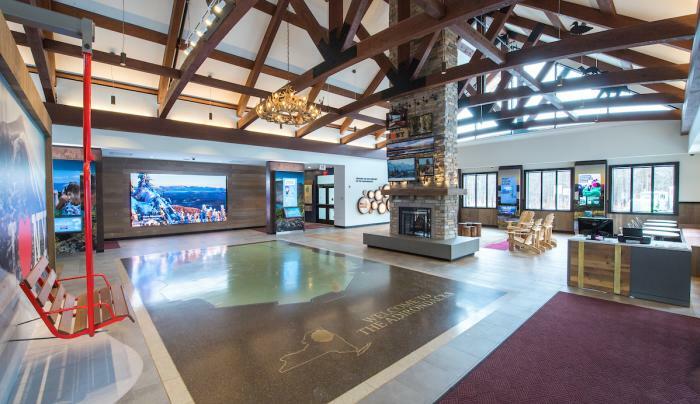 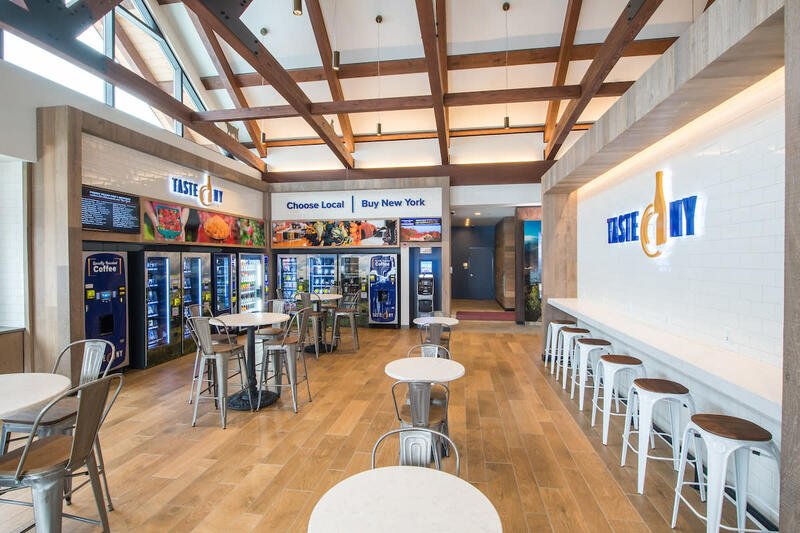 Take a selfie in a chairlift from Gore Mountain or just relax by the faux fireplace with a snack from one of the nine Taste NY vending machines, featuring many local food items. 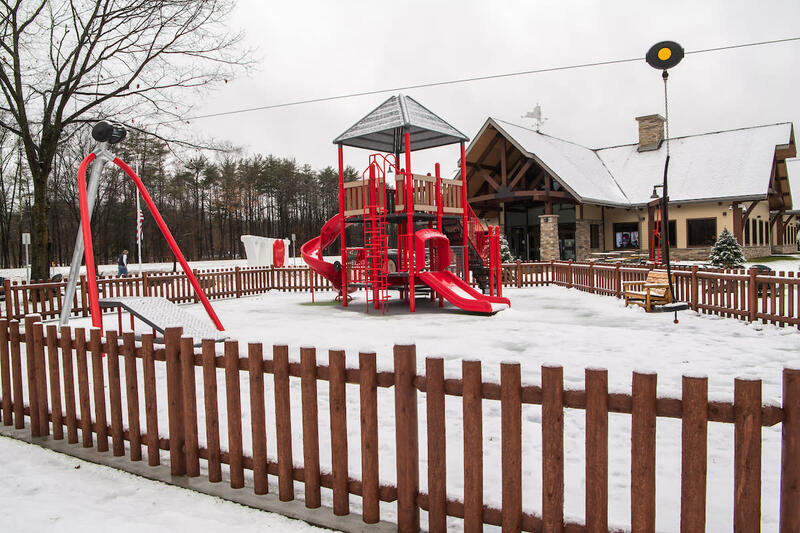 Outside, you can take a load off in—what else?—Adirondack chairs, while the kids can enjoy a sprawling playground complete with a fire tower and zip line. 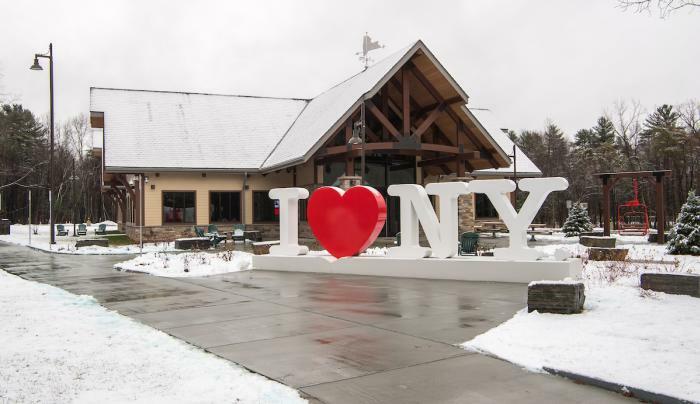 There’s even a boat inspection and wash station for visitors heading out on the Hudson River or nearby lakes. 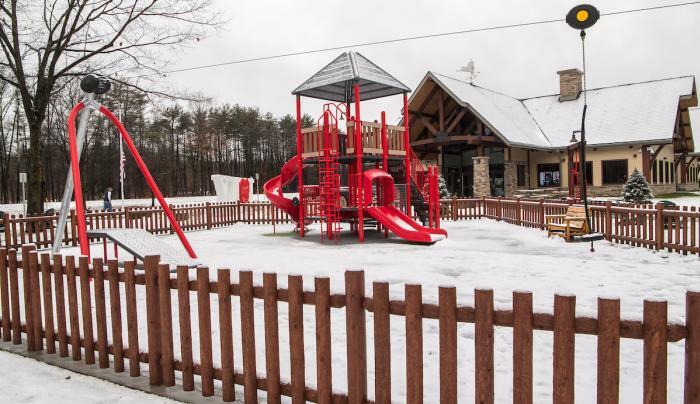 Additional amenity includes an animal comfort area.